It’s not a secret that carpet cleaning can be pricey. Whether you need 1 room cleaned all your rooms cleaned depending on who you call the price could be outrages. Not to mention if you want to add a deodorizer or carpet sealant the cost could really get out of hand! So where can you get the best for carpet cleaning in San Antonio? The answer is easy. Look no further then Beyer Carpet Cleaning. Beyer Carpet Cleaning San Antonio is your local carpet cleaning business that services the City of San Antonio and the surrounding areas. They offer low prices all year round and quality customer service. For as little as $99 you can have 3 rooms and a hall cleaned. This cleaning includes a steam clean, vacuum, pre-spray to rid 95% of spots or stains, and free deodorizer. 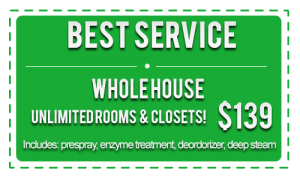 Beyer Carpet Cleaning never charges extra for deodorizer. It is always included in their best service cleanings. For $139 you can have as many rooms, halls, and closets cleaned up to 2,000 square feet. There is no one in the carpet cleaning industry that can beat their price. Carpet cleaning is imperative to the health of your carpet and the health of your family but it shouldn’t cost more then your monthly car payment. Shouldn’t you be able to get a carpet cleaning that won’t cost as much as the deposit you are trying to get back? Yes, when you are renting an apartment or house most times you are required to have the carpets cleaned. In order to guarantee your deposit is returned to you is to get the best carpet cleaning you can possibly get. If there are any stains or pet stains the owner or leaser may not return your deposit. However, you don’t want to spend a whole lot on having carpets cleaned for a place you are leaving so why not call Beyer Carpet Cleaning? 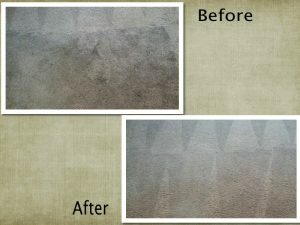 Beyer Carpet Cleaning is the best option for all your carpet cleaning needs. They also specialize in tile and grout cleaning as well as upholstery cleaning. If you have stinky pets that have soiled your carpet they have specials for that as well. Beyer Carpet Cleaning has you covered in just about anything you need cleaned.